I read and reviewed his Polish Boxer late last year and was mightily impressed. In this his second book Halfon continues his flowing disjointed stream of stories. Are they biographical or not? Big question! They are however all about identity. The chapter entitled “White Sand, Black Stone” to me seems to epitomise Halfon’s style. Ostensibly an account of him crossing the land border between Guatemala and Belize, it is a series of discrete yet connected snapshots of life and coincidence, mixed with memory (his grandfather’s ring) , imagination ( how the ring got to Central America) with metaphor (the captive macaw with his own need for flight from the coincidently (or not) pursuing immigration officer). His crossing of the border at Melchor de Mencos recalled my own same crossing ten years ago. I liked this chapter/story very much. 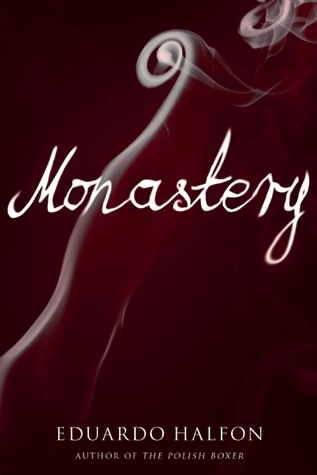 The final chapter entitled “Monastery” is at one level the account of Halfon’s escape from gong to his sister’s wedding instead going to the beach with Tamara, an Israeli girl he had once met in Antigua, Guatemala. In it he returns to his thoughts about walls as they pass the separation well between Israeli and Palestinian areas. He recalls the various stories of how individuals escaped from Nazi persecution and death, surrounding themselves with walls of protective lies, dressing up as Germans (his friend’s grandfather), Catholic Christians (the family of Polish writer Jerzy Kosinski), taking false names and identities, including the touching story of a Jewish family who transformed their boy in to a Catholic girl and left her at a Monastery to be the only one to see out the war safely. “A wall is the physical manifestation of man’s hatred of the others” “ A wall is never bigger than the spirit it confines”. ashramblings verdict 4* - I think that Halfon’s writings are quite distinctive and ripe for academic analysis, but they still make for a very interesting read because of their individuality whilst addressing issues we all have in common, namely one of identity in a global world. I look forward to more being translated into English.